A woman fell from her bicycle on Woodroffe Ave. in Ottawa, in July 2011, and as a result, she suffered a head injury and post-concussive symptoms. In June 2013, she commenced a civil suit for damages against the City of Ottawa and the Ministry of Transportation (MTO), that alleged that these government bodies were negligent in the maintenance of the road and the “fall was caused as a result of the dangerous condition of the road surface which appears to have been the result of road maintenance being done in the area”. The City of Ottawa issued a third-party claim against EllisDon Corporation in February 2014, on the basis that the roadway was under construction during the time of the accident, in connection with a contract between Algonquin College and EllisDon. Then, in January 2016, the plaintiff served a motion to add EllisDon as a defendant in her civil action and in response, EllisDon moved for a summary judgement to dismiss the plaintiff’s claim against them for being past the two-year limitation period. The plaintiff argued that there is a genuine issue pertaining to discoverability in this case, which requires resolution in a trial. The plaintiff also sought an order to consolidate this action with a related matter. The defendant, EllisDon, argued that the plaintiff’s motion should be statute-barred for being too late for the following reasons. The plaintiff knew the exact location of the accident and knew that she fell in an area under construction. Also, she met with counsel before the two-year limitation deadline and her counsel therefore knew the circumstances and location of the accident. EllisDon’s final argument was that the plaintiff failed to exercise reasonable diligence to determine EllisDon’s involvement in the construction, within the statutory period. The plaintiff’s response to these arguments is that she did not learn of EllisDon’s possible involvement until the City of Ottawa delivered its defence in February 2014, and she did not become aware of EllisDon’s possible negligence until the City’s examination of discovery in February 2015. Given that the claim was issue within two years of those dates, the plaintiff argues that it is in time. In an examination for discovery in February 2015, the City’s representative testified that the City of Ottawa entered into a Design and Construction Agreement with several contractors, including EllisDon, to 'download' the City's liabilities and risks. In her examination for discovery in August 2015, the plaintiff testified that on the day of her cycling accident, the pavement was smooth when she turned onto Woodruffe and then became grated, at which point she fell. She also stated that could not see construction underway on the road, there were no signs warning of construction and she did not see any workers there, so she did not realize she was in a construction zone. The only sign of construction was the presence of a construction trailer near the College, which she assumed was there because the walkway was still unfinished. Upon hearing all the evidence, the judge concluded that here is a genuine issue requiring a trial for this case. Justice Rady suggested that the defendant is holding the plaintiff to an inappropriately high standard, given that: she suffered a brain injury; was uncertain with respect to the exact location of the accident; and the City of Ottawa was initially uncertain as to their jurisdiction and which contractor was responsible for the roadwork where the accident occured. The plaintiff alleged that her brain injury affected her cognitive ability and left her disoriented for weeks after the accident, and her memory impairments caused difficulty in remembering the exact location of the accident. Justice Rady also asserted that the fact the that the accident occurred in an area under road construction is not sufficient, given the circumstances of this case, to lead a plaintiff to suspect a particular contractor’s involvement or negligence. The judge noted that the City did not deliver its third-party claim and statement of defence until February 2014, which supports the reasonable inference that City administrators did not have sufficient information prior to this point. Justice Rady concluded that this is, arguably, the date on which the limitation period began and therefore, the claim was commenced in time. The judge decided that the plaintiff’s cross-motion for an order to consolidate the two actions appeared reasonable and should be granted. This eliminated any concern about separate parallel proceedings. Finally, Justice Rady dismissed the defendant’s summary judgement motion to dismiss the claim against the contractor for being past the limitation period. 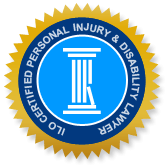 When someone is injured on a municipal or commercial property, it is not uncommon for plaintiffs to discover a further defendant after they already commenced a claim against one or more defendants. And, when a plaintiff seeks an order to add the additional defendant to their claim, a judge will base their decision on whether the plaintiff took reasonable and appropriate steps and acted with due diligence to determine the parties who were liable in their accident. In other words, if an injured plaintiff took all reasonable actions to determine the parties responsible for their injury, but did not learn of a potentially negligent defendant until after they filed their claim, a judge will generally allow the additional defendant to be added. If you were injured in a cycling accident and are claiming damages for your losses, call an experienced Ottawa cycling accident lawyer to discuss the unique circumstances of your case and learn what’s involved in seeking and obtaining a favourable settlement.